Austin Cindric equaled his career-best NASCAR Xfinity Series career finish Friday night at Richmond Raceway. Cindric scored a second-place finish, his second top-10 in three races at Richmond and his sixth top-10 finish in 2019. 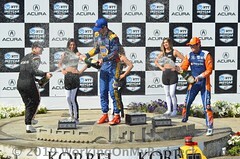 The second-place finish also qualifies Cindric and the No. 22 LTi Printing team for the third Dash-4-Cash race at Talladega Superspeedway and the opportunity to collect at $100,000 bonus. Qualifying for the 250-lap race was rained out on Friday afternoon and the starting line-up set per the NASCAR rule book, giving the driver of the LTi Printing Ford Mustang the fifth-place starting position. 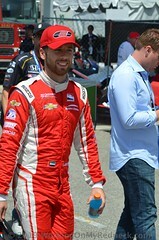 Cindric maintained his position in the top-five from the drop of the green flag, running lap times comparable to the race leaders. But as the laps ticked away in Stage 1, the balance on the No. 22 Mustang faded. He briefly fell back to the 10th position before the first caution on lap 66 gave the team an opportunity to make adjustments. Cindric restarted 10th on lap 70, with five laps remaining in the first segment. He battled his way through traffic over the final four miles to claim a seventh-place finish when Stage 1 concluded on lap 75. Cindric restarted seventh when the race went green on lap 81. A few laps later the Mooresville, N.C., native worked his way into the top-five. He radioed to crew chief Brian Wilson that the LTi Printing Ford was better than earlier in the race, but the handling still needed to improve. Cindric was up to fifth position when the third caution slowed the pace on lap 128, allowing him to pit for four tires and another round of adjustments. The race resumed on lap 137, 13 laps from the finish of Stage 2. Cindric lined up 10th for the restart but diced his way through traffic, battling his way to the second position before a caution on lap 143. 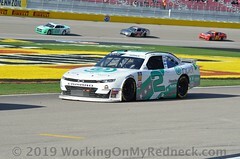 Cindric stayed on the track during the yellow and restarted second with five laps to go in the segment, holding firm to the position during the dash to the finish of Stage 2. 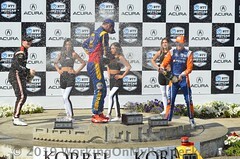 With the threat of rain in the area, Wilson also chose not to pit during the following stage caution. 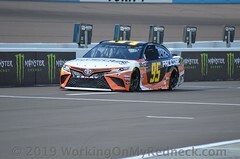 Cindric restarted second when the race went green on lap 160, where he would settle in until the sixth caution waved on lap 213, setting up a round of pit stops for the leader. Speedy pit work by the LTi Printing team allowed Cindric to restart third on lap 218. With 30 laps remaining, the seventh and final caution slowed the pace. On lap 227, Cindric grabbed the lead from Cole Custer on the restart and held the top spot for the next seven laps. But Custer was able to rally, and slipped by Cindric to take the lead for the final time on lap 231. With the second-place finish at Richmond, Cindric now has 10 top-five finishes and 19 top-10 finishes in 42 NASCAR Xfinity Series starts. He remains fourth in the driver point standings, 63 points behind leader Tyler Reddick.